Lana Clarkson had several small roles throughout her Hollywood career. While mostly remembered for her roles in Deathstalker and Barbarian Queen (and it’s straight to video sequel), she had a much longer career than that. Her first speaking role was in the coming of age classic Fast Times of Ridgemont High. She also had bit roles in television series such as Happy Days, Wings, and Silk Stalkings, as well as roles in movies as diverse as Scarface and Amazon Women on the Moon. At six foot high she was the embodiment of the blonde goddess, and while never making the “A” list, she was constantly working. She was also a kind and loving soul. In the 1980s when fear of Aids was epidemic, she began volunteering with Project Angelfood, delivering food to those disabled by HIV, Aids, cancer, and other life threatening illnesses. According to her website she continued her involvement throughout her career and life. This alone makes her life worth celebrating, and eclipses her fame. It also lays to rest any assertion that she was no more than a pretty face, and was far from a blonde bimbo. In the 2001, Lana developed, wrote and produced a showcase reel called “Lana Unleashed.” It was meant to showcase her comedic talents, and hopefully open a new career path as a comedic actress. To help finance her new career path, she took odd jobs including working for the House of Blues in Los Angeles. It was here, on a fateful night in 2003, that she met Phil Spector. Reportedly she first mistook the weird little man as a woman, but was corrected by the club management and told to “treat him like gold.” Apparently Spector took a liking to Lana and persuaded to join him at his home for a nightcap. According to his chauffeur for the night, Spector had been drinking heavily all night. Early in the morning of Feb 3, 2009, Spector reportedly walked out of his mansion, up to his limousine and told his driver “I think I killed someone.” Inside his mansion, Lana Clarkson, the beautiful blonde starlet, the person kind enough to volunteer her time to the sick and dying, the actress who adored her fans, and posted to her website weekly, lay slumped in a chair, dead from a single bullet to the face. The little man who killed Lana Clarkson claimed it was “accidental suicide” and that she had “kissed the gun.” The defense, and David Mamet, in his fantasy bio pic “Phil Spector” for HBO, claimed she was depressed, and suicidal over turning 40, and her failed career. Her family, and her fans don’t buy that crap. Lana was turning a new page in her career. Experts agree people rarely commit suicide spur of the moment, and Lana was posting on her web site right up till the end. Phil Spector however, had a history of waving guns in the face of young women, while under the influence of alcohol and medication. One woman described it as an accident waiting to happen. If asked my personal opinion, and based on accounts from other women, I believe that Spector, drunk from a night of binge drinking, high on prescription drugs, killed Lana Clarkson in a drunken rage, when she refused his sexual advances. Then realizing what he did resulted in his confession of sorts to his driver. 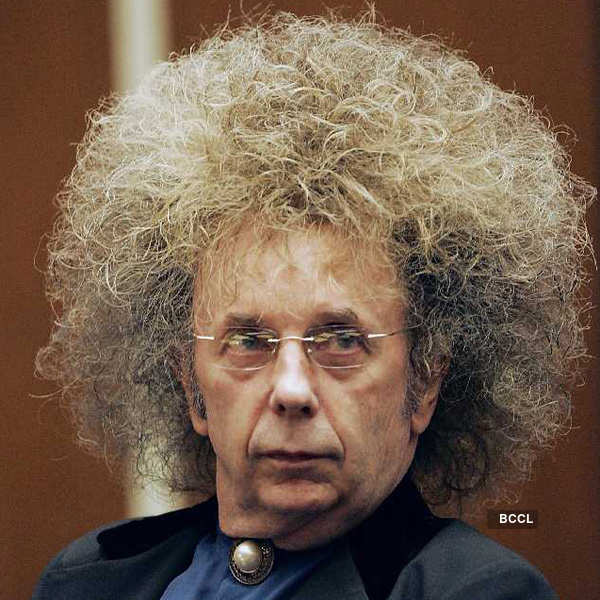 No one will ever know exactly what happened there except Phil Spector. But one thing that her family and fans agree upon, was that she was not the depressed, washed up, B movie actress that Spector apologists are trying to paint her. Working as a bouncer at the Hard Rock doesn’t demean her in my eyes, but just shows that she was willing to work, even at menial jobs, in order to survive and succeed. I will never believe that she took her own life, even as an accident. Maybe Spector didn’t. purposely shoot her, but he bears the weight of her death. It was his gun, he pulled it, and most agree, he pulled the trigger. Lana Clarkson is gone, taken way too soon, at way too early an age. The old adage, the candle that burns the brightest burns the shortest applies to Lana. While her career may never have been extremely bright, her life was. She gave back to her fans, and she gave to the sick and needy, who might never have heard her name. Phil Spector snuffed out that candle way too soon,and the world is a little darker without Lana Clarkson.